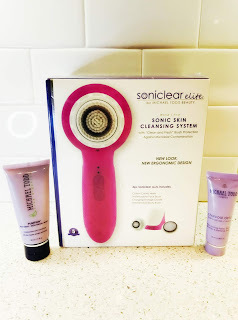 Living a Fit and Full Life: Get Gorgeous Skin with Michael Todd's Soniclear Elite Sonic Skin Cleansing System! Get Gorgeous Skin with Michael Todd's Soniclear Elite Sonic Skin Cleansing System! Michael Todd is committed to providing high efficacy skin care formulations of clinically validated actives and soothing botanicals without harmful ingredients. This to them is "where science meets nature." To help you achieve the best results from their formulas they have developed state of the art skincare devices that will help deliver the ultimate Michael Todd experience. Experience glowing, softer, smoother and healthier-looking skin for the entire face and body with our multi-patented and dermatologist recommended sonic cleansing system. The Soniclear Elite is ideal for all skin types and skin tones. You will love how it gently and effectively it removes pore-clogging residue and dead skin cells. This improves the absorption of your skincare products and boost both the look and feel of your skin. With daily use, you can expect to see noticeable improvements in the appearance of pore-size, rough or uneven skin texture, congestion, dry patches, dullness, fine lines and wrinkles. Enjoy the fully rechargeable battery for cordless convenience during use. Experience multiple cleanses before needing a recharge with the extended running battery life. Soniclear is not only waterproof but also water submersible which means that you can take it into the shower or bath with you for ease of use and total cleansing convenience. Enjoy 3 speeds for the face brush head and 3 speeds for the body brush head. Having multiple speed options allows you to find the speed setting just right for your skin’s changing needs. Personalize your cleansing and exfoliation process with Soniclear. Experience an additional operating mode designed to rev-up your skincare routine to accelerate anti-aging beauty benefits. Every 20 seconds an automatic timer will beep alerting you to move to the next cleansing area. This “cleansing assistant” helps you standardize your cleanse for the best possible and most even result. Get gorgeous skin with Michael Todd's Soniclear Elite Sonic Skin Cleansing System! My skin has really been struggling ever since summer ended. I don't know if its the cooler air or what, but I definitely needed some help. Michael Todd's Soniclear Elite Sonic Skin Cleansing System seems to be just what my skin needed! 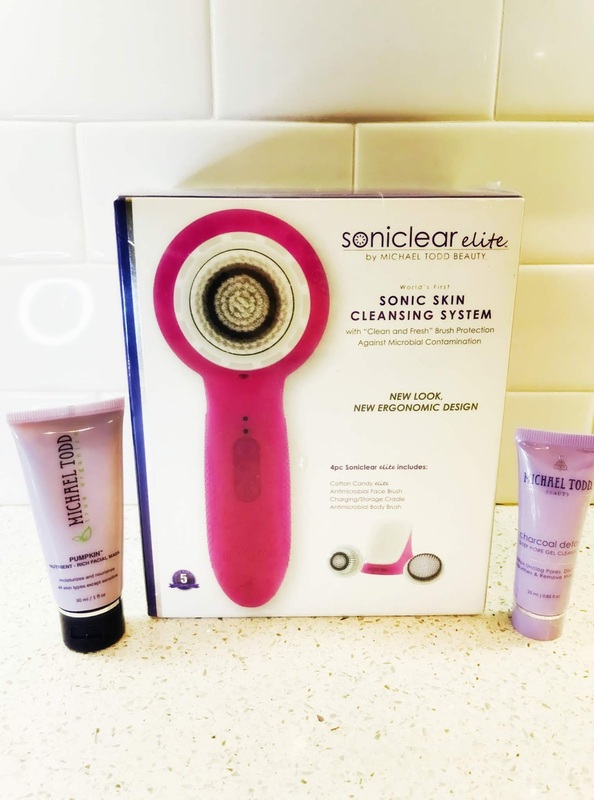 Michael Todd's Soniclear Elite Sonic Skin Cleansing System is the perfect way to get glowing, softer, smoother and healthier-looking skin for the entire face and body. It cleanses my skin like none other and sloughs off dry dead skin cells to reveal a glowing complexion. Since using, I've noticed I have far less breakouts and my skin looks so much healthier. Since it sloughs away dead skin cells my serums and lotions are also much more effective because they can penetrate deeper. I also love that I can use it on my whole body, especially my back which tends to break out here and there. It has a 60 minute running battery life, is water submersible, has 6 speed settings, automatic timer and wireless charging. It's absolutely amazing! Michael Todd's Soniclear Elite Sonic Skin Cleansing System is the perfect way to get the gorgeous skin you've always desired! Click HERE to learn more about Michael Todd! 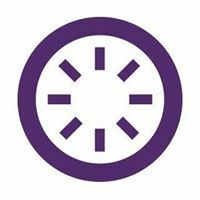 Follow Michael Todd on social media!